DO YOU HAVE DRY EYES? AEP HAS A GREAT NEW THERAPY TO HELP! 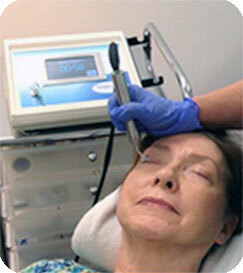 The MiBoFlo Thermoflo® is a therapeutic device providing an alternative therapy for dry eyes. It uses a proprietary thermoelectric heat pump to help maximize liquefaction of meibum, thus improving the preservation and function of the evaporative component of the tear film. This therapy is aimed at improving function of the meibomian component of the tear film. The thermo control operates within a plus or minus 3% variance to maintain an effective treatment temperature of 108 degrees. The MiBoFlo has an adjustable timer allowing for the versatility to treat various levels of dry eye. The MiBoFlo device is constructed from quality components and manufactured in the U.S.
Every unit is meticulously inspected and tested before delivery. The touch screen produces a user friendly interface that adds functionality and is easy to read. A safety key acts both as the power switch and secures the device. A green LED in the handle indicates proper power being delivered to the hand piece. »» Most Feel quick relief after 1st treatment The MiBoThermoflo® supplies continuous controlled heat that is applied to the outer skin of the eyelids along with ultrasound gel for a gentle massage. 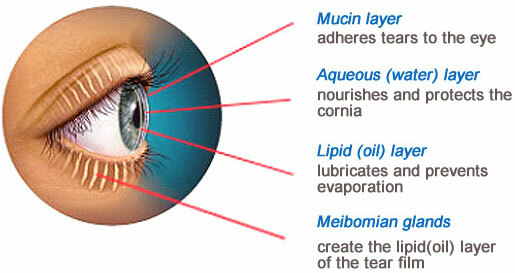 The heat is absorbed deep into the tissue and breaks down the hardened oils in the meibomian glands. With a specific prescribed therapy regimen, the ducts of the meibomian glands will secrete thinner and clearer oils which will allow for a healthier tear film.